At 3:08 in this video with *Panorama Productions*, Duda talks about his Monome saying "I’ve got this whole other side, which is this percussion layout, this like a software drum machine I wrote called [Nerve](http://equipboard.com/items/xfer-nerve-drum-machine-plugin)." 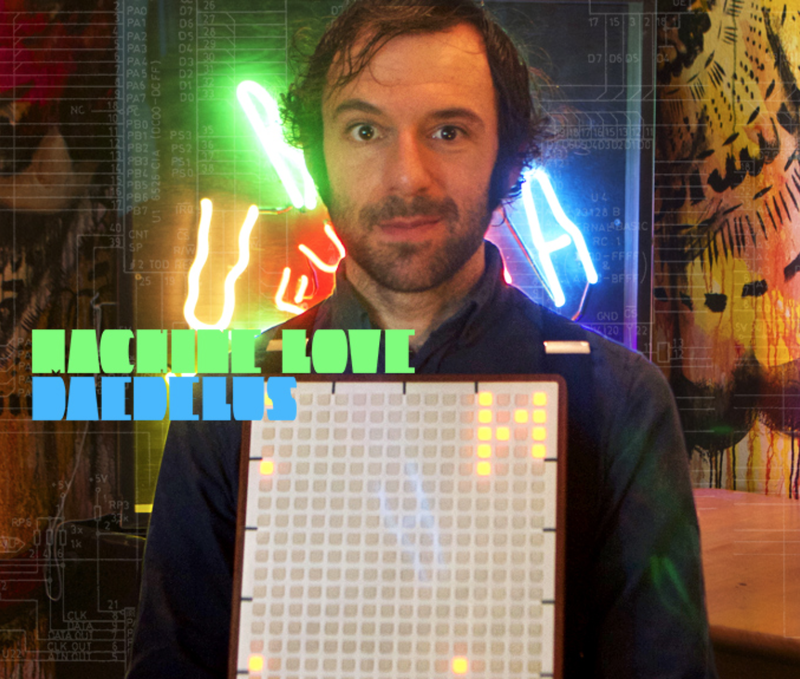 In this [Resident Advisor](http://www.residentadvisor.net/feature.aspx?1923) Machine Love feature, Daedelus discusses the Monome 256 Grid and his career with it, saying: "In 2003 I booked a random gig in San Diego, and I saw a young Brian Crabtree and Peter Segerstrom performing at a college with a prototype of the Monome. It's amazing what a single night can do, what a random gig can be. That changed my life, period. Not only was it this, like, incredible moment where I saw that it was able to manipulate samples in a way that I only had dreamed of; I also made a personal connection with Brian, and in essence became a prototype tester for the Monome to go forward. That was 2003. We can go all the way to 2013 now, ten years later, and the machine is still pretty much the same form factor. " Anybody know how much these kids cost? Varies by size, but the 16x16 is listed at $1,400 on the monome website.